Even Genghis Khan would think twice before visiting this empire. Sun Tzu’s The Art of War has been a source of battle tactics and intricate philosophy throughout the centuries. 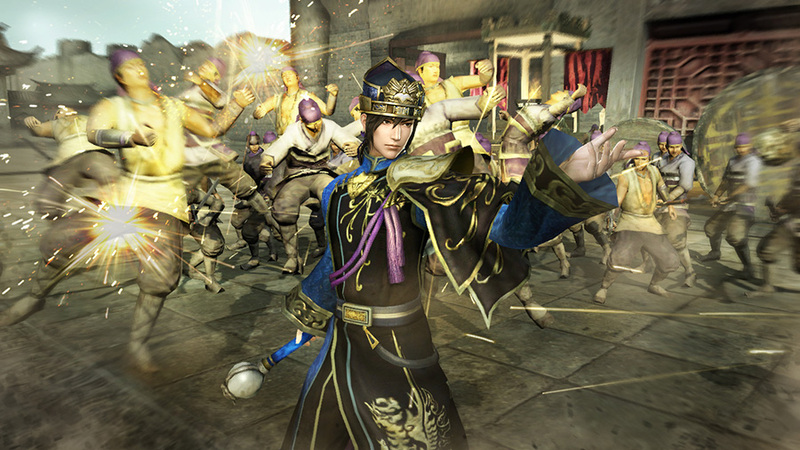 One quote stands out among the rest: “The supreme art of war is to subdue the enemy without fighting.” After several hours in Dynasty Warriors 8: Empires, Koei Tecmo’s second expansion to the series following Xtreme Legends, the only subjugation possibly achieved through all the mindless fighting is one’s own. Despite its intricate politics, eras, cast of characters and complex Chinese lore (presented throughout the game in heaps of text via loading screens no less), Dynasty Warriors 8: Empires is a game about demolishing crowds of enemies. You choose a character, be it Wang Yi of the Wei or Lianshi of the Wu, and ultimately go about whacking mobs. 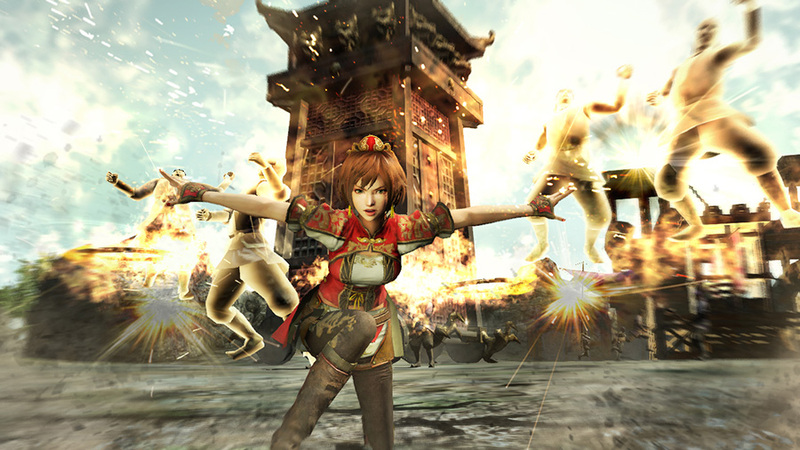 To its credit, Dynasty Warriors 8: Empires provides plenty of historical scenarios for you to battle in. You’ll choose a character and earn the support of a kingdom, after which you’ll go into various missions, battles and invasions to either strengthen your lord or weaken your foes. 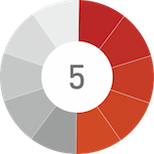 Campaigns are divided into years, years into seasons and the seasons into various months, each month functioning as a new turn for a new decision. Every few months, a war council will be held to decide the plan moving forward, which either dictates your personnel’s drive to find new recruits or their tendency to stir up trouble with the locals. This then carries over into the different eras in Empires mode. "Sadly, the combat in Dynasty Warriors 8: Empires lacks any real impact. You may be slicing through a hundred different baddies but it often times seems like you're cutting through thin air." Empires mode also offers a special campaign called Gathering of Heroes which allows you to choose a character and start your own kingdom. You’ll have to earn the support of your followers, expand the borders, make allegiances, bond with your officers and rebuff romantic advances. Did we say “rebuff”? We literally mean “fight off any and all advances” since an ally can suddenly propose if their support for you is high enough. Sometimes, the same ally will propose numerous times. Regardless, every time this happens, you’re treated to a loading screen, a sappy cut-scene to be skipped and another loading screen before deciding whether to accept the offer. It’s a testament to the utter lack of character development when the suitors start blending together after a point. “Isn’t that one of my new officers? Why is he already after me? Or wait, is that some one I already had…” comes up more than you’d think possible in a game like this. But enough about building academies and hosting feasts for people you’ll have to reject later. 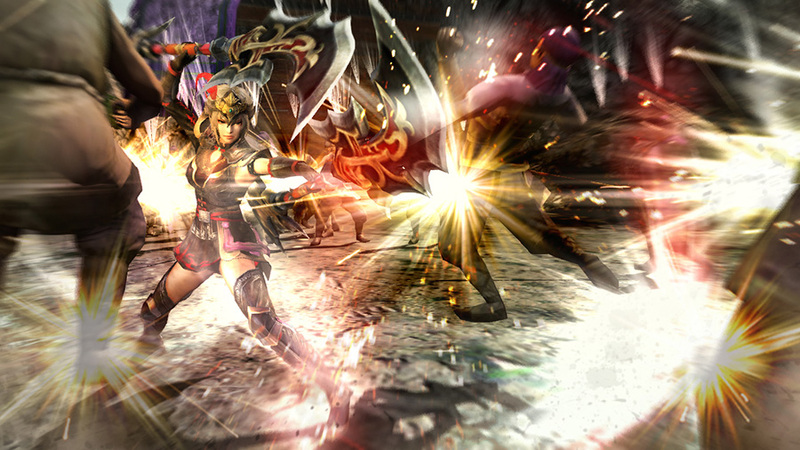 Dynasty Warriors 8: Empires is about fighting, right? In that regard, you’ll have a variety of weapons and characters to choose from. Not every weapon is suited to the character in question – Wang Yi is good with Iron Piercers and a Twilight Blade but not so much with a regular sword – and you’ll have to experiment with different weapons until you discover the most convenient crowd control combo. Each character has a quick and heavy attack along with a special move. The quick and heavy attack buttons can be alternated for various combos, some which are admittedly pretty cool looking. There’s nothing quite like Wang Yi going all Big Burly Brawl on a group of enemies. Sadly, the combat in Dynasty Warriors 8: Empires lacks any real impact. You may be slicing through a hundred different baddies but it often times seems like you’re cutting through thin air. Mobs are comprised of indistinguishable clumps of baddies and it’s only the enemy officers that really stand out (that too sparingly at times). Missions here are of the utmost repetitive variety, challenging you to kill a bunch of tigers in a tightly confined, almost claustrophobic map. The next mission you’ll be killing wolves. In yet another, you’ll be tasked with offing an important figure before he has a chance to escape (forget about stealth – just alert everyone to lure the official out and end him). Then it’s back to killing wolves. "Dynasty Warriors 8: Empires may be somewhat of a guilty pleasure when it comes to the chaotic combat and admittedly, there's some thrill in trying out new weapons and combination attacks as you grow stronger." The good news is the raids and invasions provide some hints of strategy for open field warfare. One must choose a set number of officers and troops in these situations to venture out and capture the enemy’s encampments. You’ll have your own encampments to safeguard, which can be upgraded for better defense, and things get even more interesting when you factor in Stratagems – some which can result in widespread damage to the opposing side – and different siege turrents. In the case of raids, you only need to capture as much as possible while damaging the enemy in the process. Defeat in this circumstances won’t affect your territorial control. With invasions, you have to capture enemy encampments while managing your own troops and defending while battling enemy officers on the side. Ultimately you have to defeat the enemy commander to secure victory but make sure to watch your back lest your home base falls while you’re away. It can get extremely chaotic when you’re tackling multiple officers at once, beating down their various soldiers and struggling to stay alive. This applies to defense against invasions as well, since you’ll often be outnumbered in encampments and have several strong enemy officers coming at you. Dynasty Warriors 8: Empires may be somewhat of a guilty pleasure when it comes to the chaotic combat and admittedly, there’s some thrill in trying out new weapons and combination attacks as you grow stronger. There’s also a certain drive to conquer other kingdoms and unite all of China under your banner. Unfortunately, there isn’t much pay-off to doing so. An ending cut-scene, some flashbacks to seemingly important events and the option to bring your character and their “Way of Life” into other scenarios is hardly a fitting conclusion. "It also doesn't help that Dynasty Warriors 8: Empires looks like it woke up on the wrong side of the PS3 line. Visuals look fairly dated with jaggies galore and shimmering shadows throughout." The fact that the fighting lacks any real strategy is a real bummer – it simply depends on how quickly you can spam the best combos and keep your enemies off balance. And if at first you don’t success, invest in special training to over-power your characters. Latter invasions do bump up the challenge with tougher officers and commanders but they only require that many more hits to go down rather than any real change in strategy. It also doesn’t help that Dynasty Warriors 8: Empires looks like it woke up on the wrong side of the PS3 line. Don’t let the snazzy screenshots fool you – visuals look fairly dated with jaggies galore and shimmering shadows throughout. Enemies are clones of each other, many animations appear clunky and awkward and the frame rate dips often and at the oddest times. Whatever the case may be on the PS4, it’s safe to say that the Xbox One should be capable of a better looking Dynasty Warriors than this. Whether it’s capable of a more fun Dynasty Warriors is another question. Dynasty Warriors 8: Empires doesn’t attempt to overtly revamp a formula. If anything, it seems keener on beating its signature combat into the ground while pretending to offer real world-building and progression. Fans of the series may find themselves somewhat interested in building their own empire. However, all the content and characters in the world can’t save Dynasty Warriors 8: Empires from its repetitive fighting, unimaginative quests, shabby visuals and lazy presentation of epic war stories. Simple, crowd-based brawling with a good variety of weapons and characters. Decent amount of campaigns to play. Creating your own unified kingdom is a nice diversion. Combat and quests become more monotonous and repetitive the longer you play. Ho-hum presentation and plot. Two-dimensional cast of characters. Inability to change relationship status to "Single but not in the mood to mingle". Visuals don't even attempt to conform to current-gen standards.